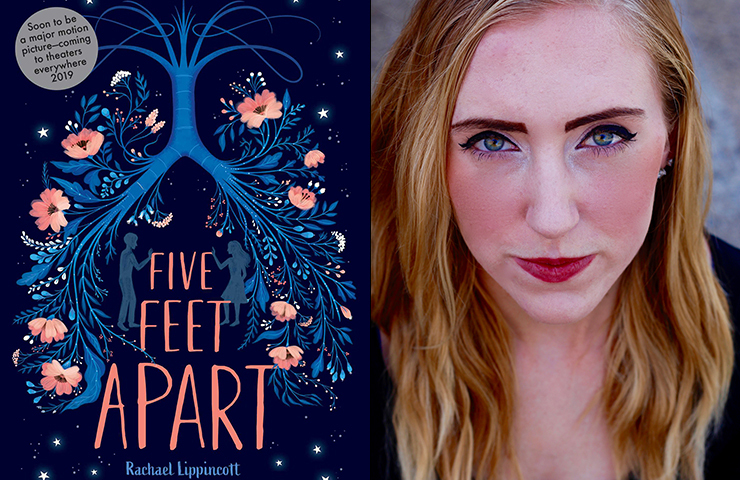 Five Feet Apart by Rachael Lippincott ’13 will soon be a major motion picture. The debut novel of Rachael Lippincott ’13 hit the shelves on November 20, 2018. The New York Times best seller Five Feet Apart was published by Simon & Schuster and is based on an original screenplay by Mikki Daughtry and Tobias Iaconi. The major motion picture Five Feet Apart, starring Haley Lu Richardson and Cole Sprouse, will come to theaters in March 2019. Five Feet Apart tells the story of two teenagers with cystic fibrosis who fall in love while in the hospital. Teenage romance is hard enough without the rule that they must stay six feet apart from each other to lessen their risk of cross-infection. Unable to touch, Stella and Will must figure out how to connect with each other from afar, and dream of pushing the six-foot boundary to even five feet. For Rachael, writing Five Feet Apart opened her eyes to the realities of cystic fibrosis, a progressive genetic disorder that causes a buildup of mucus in the lungs and other organs. Over time, the disease causes infections and lung damage, and leads to respiratory failure. Rachael lives in Pittsburgh, PA, where she also runs a food truck, Lone Wolf Grill, with her partner.